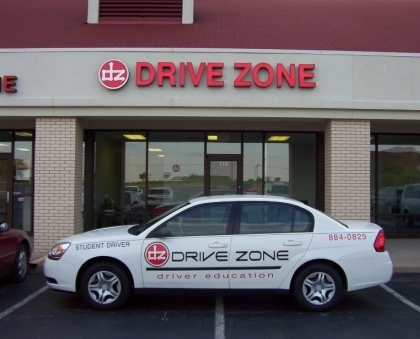 Depending on your situation, Drive Zone offers several different options depending on your needs. The vast majority of students will want to complete the full course. This package will include both the Drive Zone online curriculum, as well as six one hour lessons behind the wheel. 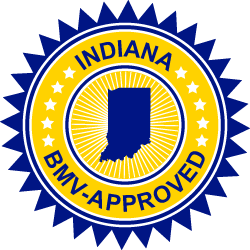 This is the standard for most new students, and completion will make the student eligible to complete the BMV waiver test with us, rather than having to test at the BMV for your license. Students who are 15 years of age will receive a Certificate of Driver Education Enrollment with this package, enabling them to test at the BMV for their permit. Please click here to enroll for online class, and six one hour lessons behind the wheel. It is not uncommon that students may complete the online portion somewhere else, or are comfortable taking their drive test with the BMV. For these students, we offer our drives only package, that includes either 6 or 12 drive lesson hours. Many students choose to complete the online portion of the class before enrolling for the behind the wheel portion. While this class does contain many elements that would be covered on the Indiana permit test, it is important to note that this class is designed to be more " How to drive" than " How to pass the permit test". Regardless of whether you choose to complete the behind the wheel segment with Drive Zone, this class is BMV approved, and does count toward the requirements to complete Driver Education. Please click here to register for the online only portion of our Driver Education curriculum. If you have already completed a classroom course, or are in need of additional practice hours, we have a package for you. Whether you need one or two extra practice hours, or all 50 for your permit, we have you covered.